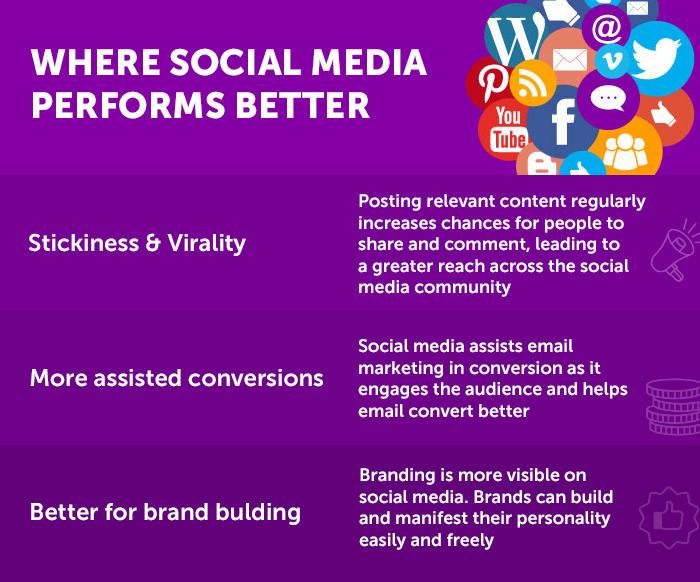 E-mail marketing and social media are just different. It is hard to compare them and sometimes even harder to decide which one serves your business better. We put together valuable statistics and recommendations to help you evaluate when and how to use each, and for what purpose. You will learn how email marketing and social media can work together hand in hand to generate leads, engage customers and build a consistent brand image. 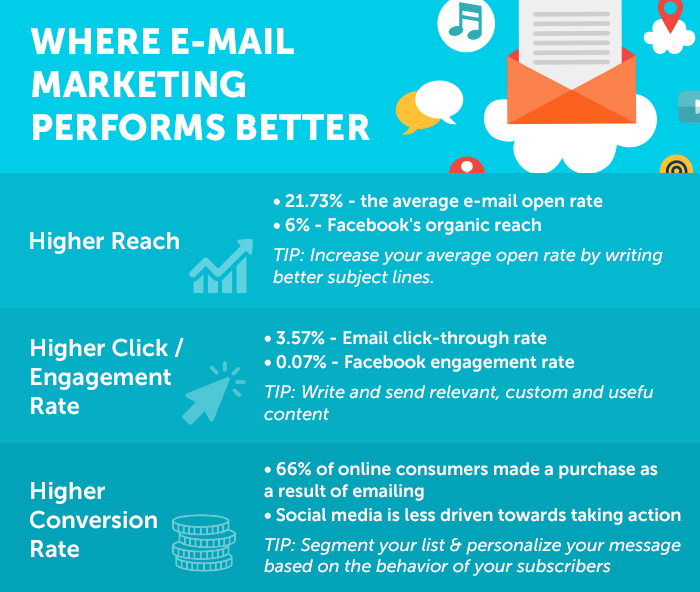 Use email marketing when you’re looking more for reach, traffic, and direct conversions. 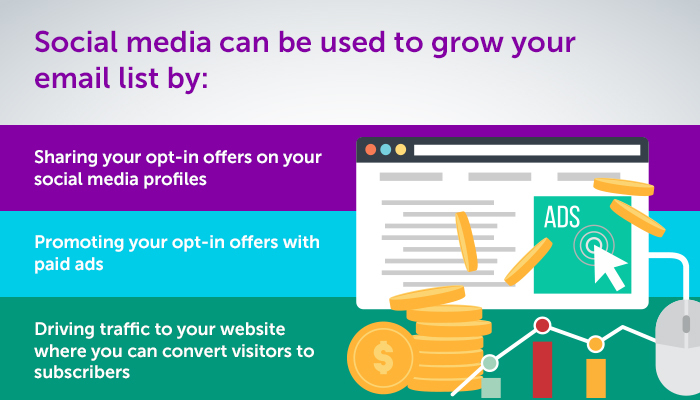 Social media serves best in engaging your audience and assisting you with making more sales. See some examples of successful e-mailing campaigns here and here.